WAREHAM, Mass. 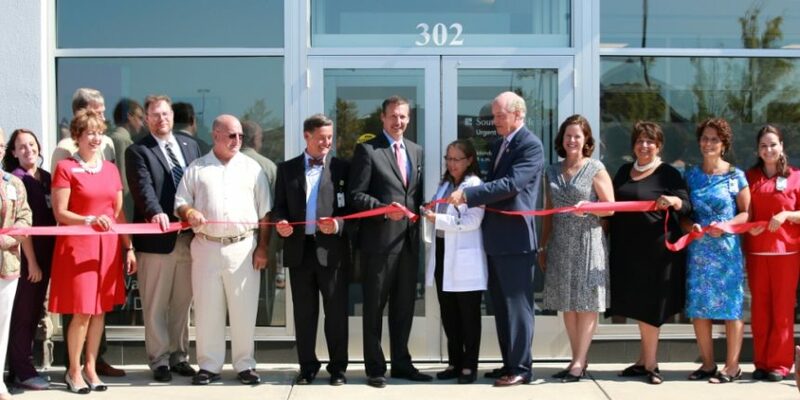 – Southcoast Health today announced that the new Southcoast Health Urgent Care Center will open at Wareham Crossing in Wareham on Tuesday, September 2. The Southcoast Health Urgent Care Center is a community resource for immediate, non-emergency care. It is open to the public, treating both adults and children (6 months of age and older). Patients are not required to have a Southcoast primary care physician to take advantage of the services. Walk-ins are welcome, and no appointment is needed. The center will be open seven days a week – Monday through Friday from 8 a.m. to 8 p.m. and Saturday and Sunday from 9 a.m. to 5 p.m. The Southcoast Health Urgent Care Center is staffed by a specialized team of physicians, nurses and medical assistants and offers a full array of services including on-site radiology and laboratory services, basic orthopedics, gynecologic and minor surgical treatments as well as intravenous fluids and medications. In order to achieve the best continuity of care, a patient’s primary care physician is electronically alerted to the visit. Common reasons for visiting urgent care include: strains, sprains and fractures, infections, animal bites, skin conditions, burns, lacerations, casting, contusions, cold or flu symptoms, immunizations and vaccinations, and school and sports physicals. The center brings to Wareham what has been an exceptionally successful model in Fairhaven. Southcoast Health’s first Urgent Care Center, located at 208 Mill Road, opened in August of last year, and has very quickly become a trusted healthcare option in the Fairhaven area. The Southcoast Health Urgent Care Center is conveniently located at Wareham Crossing at the intersection of Routes 195 and 495 in Wareham, adjacent to Qdoba Mexican Restaurant and the Beach Pad. The facility is within a few miles of both Southcoast Health at Rosebrook and Tobey Hospital. For more information, visit www.southcoasturgentcare.org.